Twelve years ago, Ellen’s mother passed away after 96 wonderful years of life. She was not the wealthiest of persons, but her life was rich with memories of her children growing up, watching them raise their children, and even getting to know her great-grandchildren. This could not have been more evident than when Ellen went to her mother’s fourth floor New York walk-up to clear out her mother’s belongings, and was met by countless photos of family spanning the decades – they were hanging on the walls, preserved in photo albums with handwritten stories, and in frames on the bedside tables. The pictures were beautiful to behold – and easy to distribute to family or discard if appropriate. But today, as they say, times are different. While some of today’s photographs and stories are preserved in tangible form, a great deal are digital and make their homes online – on Facebook, Instagram, and the Cloud – not to mention other digital assets, such as emails, a LinkedIn account, and personal websites, which may leave behind a person’s digital legacy for hundreds of years into the future. Social media is new in the grand scheme of time – and while the Uniform Fiduciary Access to Digital Access Act (UFADAA) was approved on July 16, 2014, states and tech companies have been slow to adopt it. But the reality of an online digital legacy remains, and while legislatures figure out ways to handle the issue, some online forums, such as Facebook, have created their own option as a solution for users with a concern for what will happen to their account after they pass away. 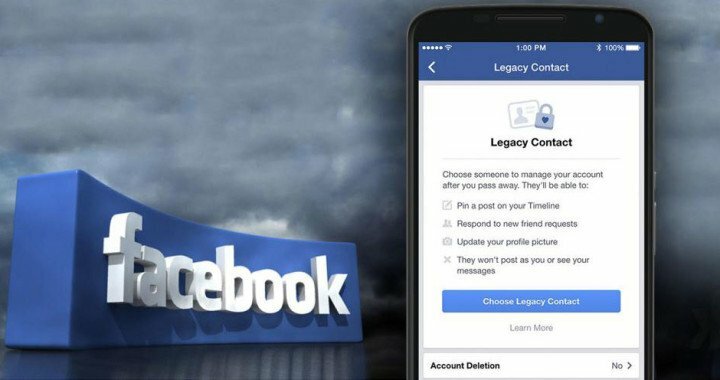 By going to the Facebook drop down tab, selecting Settings, Security, and then Legacy Contact, a Facebook account holder can name a person as their Legacy Contact, thereby giving that person permission, and the ability, to manage the decedent’s account after the account holder passes away. The Legacy Contact can pin a post to the decedent’s Timeline, thereby, for example, providing information as to memorial service information; accept or deny friend requests, for instance should a family member request to be a friend after the person passes in order to learn information about memorial proceedings; and can update the decedent’s profile picture. By logging into the Legacy Contact area of Facebook, an account holder can opt to give permission for their Legacy Contact to download a copy of the account user’s posts, photos, videos, and About Me section, or can choose to instruct Facebook to delete their account after Facebook is notified of the person’s passing. If an account is not set to be deleted, it will be Memorialized, with the word Remembering shown next to the person’s name in the profile. Further details and information can be found on Facebook’s website, and we encourage interested Facebook users to take advantage of the easy-to-use planning opportunity provided by Facebook so as to have a say in their own digital legacy. To discuss this and other digital legacy planning opportunities, please contact our office.